For us confirmation is the second and completing part of baptism. It is our chance to say our own personal Yes to what was said on our behalf when we were baptised. Because of that conscious act of openness it is also the point where the Holy Spirit deepens his work within us. In later years because Christian parents naturally wanted their children baptised the Western church decided to separate the two parts of the service. Babies were ‘baptised’ on the understanding that the parents (and sponsors) would nurture their child as a follower of Jesus. The Laying on of hands part of the service – the ‘Confirmation’ part was then kept till those concerned had grown up and could make their own public declaration that they genuinely wanted to follow Jesus and belong to his people. 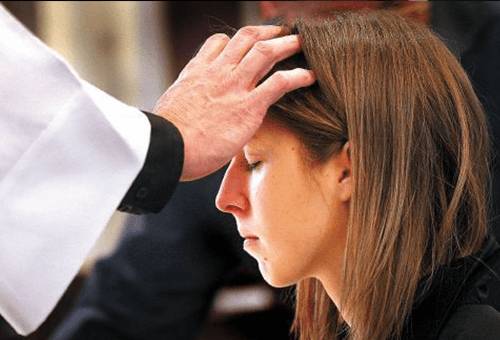 Confirmation is not only the opportunity for a person to publicly affirm his or her own personal Yes to Jesus and Yes to belonging, it’s also a time when God responds and does something special. He confirms his willingness to save, adopt and strengthen that person. In addition, because that person consciously chooses to make that act of openness to him, the Holy Spirit is able to deepen his activity within and work towards not just an increase in inner communion but also a gifting for personal spiritual growth and the growth of the church. In confirmation we make a choice to believe and belong and God responds and begins a new level of work with us and within us. Anyone who has been baptised! Having said that, because there is always a short course of learning and preparation leading up to Confirmation it is normal for people to be at least 12 and preferably older before they come to confirmation. What happens if I’m older? That’s wonderful! There is no upper age limit for confirmation. One of the really exciting things to witness is that the number of adults coming for confirmation is steadily increasing. 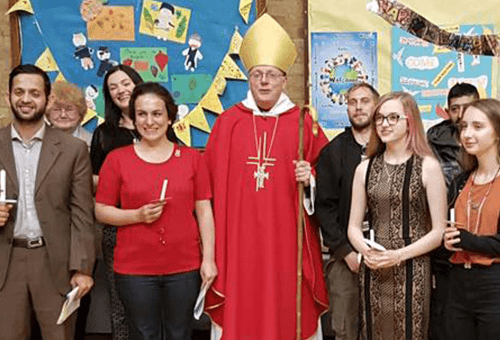 It is such a tremendous witness to see people coming to faith in later life – and it is truly wonderful to see teenagers, parents and grandparents being confirmed alongside each other! Anyone who has been baptised and who is genuinely trying to love and live for Jesus and who embodies that in worship with his people is welcome to be confirmed.